25 Commercial Real Estate & Properties in Karratha are listed in 3 categories. We have 13 Retail ShopsLease , 12 OfficesLease and 2 Industrial Warehouses Lease . Offered for Lease is this restaurant opportunity, located in the heart of the Karratha CBD. Only 4 opportunities are left so don't delay if you want your business to be a part of the exciting and vibrant Karratha City Centre! For more information, or a private inspection, call Shane Smith today on 0419 912 622. Offered for Lease is this retail opportunity, located in the heart of the Karratha CBD. Only 4 opportunities are left so don't delay if you want your business to be a part of the exciting and vibrant Karratha City Centre! For more information, or a private inspection, call Shane Smith today on 0419 912 622. Small Office Requirement $953.33 + GST per month a.. 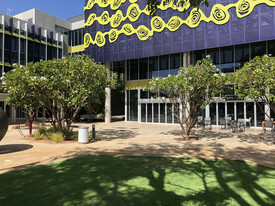 Offered For Lease is this unique opportunity to secure an office in Karratha, and not have to commit to the head lease, all you have to commit to is a small weekly lease payment which includes all outgoings. There are 2 spaces available for lease. Office One is partly furnished and Office Two is unfurnished. Also included for use with both spaces is a common printer and scanner, common front counter, common kitchen bathroom facilities. For more information, or a private inspection, call Shane Smith on 0419 912 622. All set up and ready to go this 122m2 office space has an inviting foyer with front reception, three separate offices and a boardroom. Located on one of the main arterial roads in Karratha exposure is assured. Available January 2014. Call Shane for your inspection now. Offered for Lease is this large office space located on the busy Balmoral Road. Join some other high profile businesses such as Home Hardware and Harvey Norman. 130m2 3 Enclosed Offices Main office open plan For more information or an inspection contact Shane Smith today. 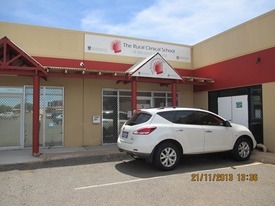 Offered for Lease is this large office space located just on the fringe of the Karratha CBD. 100m2 Office Space Plenty of off street parking Solid concrete tilt panel construction For more information call Shane Smith! Town Centre Office Space $1975 per month + gst + o.. Offered for lease is this prime office space located in the city centre in the Karratha Business Centre. 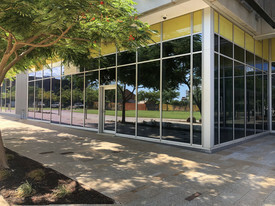 A unique opportunity exists for your business, the owner is offering to assist with the fitout to make the space your own. 79m2 of modern office space Large boardroom For more information or an inspection contact Shane Smith today! Offered for Lease is this well appointed office space, located on Degrey Place on the edge of the Karratha City town centre. 75 sqm floor space Own bathroom and kitchen facilities Private off street parking For more information call Shane Smith today! Offered for Lease is this prime office space located on the edge of the Karratha town centre. Approx. 75 sqm Fitted out and ready to occupy Board room Front counter Kitchenette Two private offices Furniture available if required For more information contact Shane Smith today! Offered for lease is this well appointed office space located on the busy intersection of Karratha Terrace and Balmoral Road. The location does the advertising for you. Periodic or long term lease available to the approved tenant. Loading bay and rear access Parking 86 sqm Call Shane Smith for more information or an inspection today! Located on Karrathas main arterial road, "Coolawanyah Road", is this open plan work shop and office space for lease . Workshop is 114 sqm (approx.) in size Ideal for the tenant that's requiring a small footprint. Separate access to workshop and office with ablutions servicing both areas. Allocated car parking bays. Call Shane Smith today! Town Centre Commercial Space - All Reasonable Offers Considered. all reasonable offers con.. Offered for lease is this commercial unit located in the Karratha Village Shopping Centre, 294 sqm (approx.) of open plan retail/office space. Loading bay and rear access. All reasonable offers considered! For more information or an inspection call Shane Smith today! Rent Free Period $3146.00 pm + GST and Out..
3 Months rent and outgoings free! 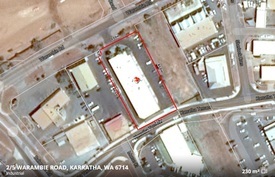 Offered for lease is this large Industrial yard located on Seabrook Crescent in the Karratha LIA. Seabrook is on an approved road train point. Fully fenced 4719 sqm land area Compacted hardstand For more information or an inspection call Shane Smith today!! Offered for Lease is this large office/retail opportunity located on the intersection of Balmoral Road Karratha Terrace. 164 sqm of Office/Retail Space 23 sqm of Awning Ample Parking Bathroom Facilities 2 months rent free! All reasonable offers will be presented For more information or an inspection contact Shane Smith today! Sound Investment $2083.33pm + GST + outgoi.. Offered for Lease is this office/retail space located on the corner of the busy Balmoral Road the newly formed Karratha Terrace intersection 101 sqm Floor Area Ample Parking Kitchenette Own bathroom facilities Fitted out Two private offices and one large open plan Security alarm fitted If you are looking for a location that advertises itself this property is for you. For more information or an inspection call Shane Smith today! Offered for lease is this large retail/office space The property is located between two of the main arterial roads into the Karratha CBD and conveniently positioned across the road from the new Karratha Hospital. Approx 230 m2 open plan office space. Bathroom facilities. Stock loading from the rear. For more information or an inspection call Shane Smith today! On offer for lease are prime café/restaurant outlets, office and retail spaces available from 85 134 sqm located on Sharpe Avenue in Pelago East and West complex in the vibrant Karratha City Centre. This location is Karratha's foodie hub, with local residents and visitors enjoying the variety of dining opportunities on offer. Available now with flexible terms. All shops are supplied with: Air conditioned Electrostatic grease removal filter ozone generator Grease trap Gas supply NBN connection Car Parking Street frontage All offices are supplied with: Carpet Tiles Air conditioning Recess fluorescent lightfittings NBN connection 3 phase power For more information or an inspection contact Shane Smith now! Offered for lease is this retail space in the Karratha Village Shopping Centre. Join the high profile tenants who already occupy this prime address, such as the Westpac Business Centre, KDCCI and other government tenancies. 41 sqm space For more information or an inspection call Shane Smith today! 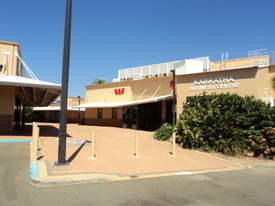 Offered for lease is this office space in the Karratha Village Shopping Centre. 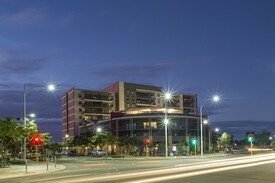 Join the high profile tenants who already occupy this prime address, such as Westpac Bank, Westpac Business Centre, Pharmacy 777, Karratha Dental, Refap and various government tenancies. 71 sqm approx. open plan office space, fitted out with a separate office and kitchen area. For more information or an inspection call Shane Smith today on 0419 912 622! The Karratha Airport has undertaken a $34 m redevelopment of the terminal building including to new cafes, bar and new amenities. The Office area incorporates the following features; Access via a dedicated lift and stairway Unique views over the airport and inland views of Karratha Unparalleled level of security due to the entry of the office being past the aviation screening point Connectivity with food, bar and general merchandise Flexible areas Free staff controlled day parking For more information call Shane Smith today! Are you struggling for room? Offered for lease is this large 210 sqm office space, located on the first floor 4 Welcome Road. If you are looking for exposure this property overlooks the busy Centro shopping centre, with plenty of car parking space. Lots of parking space Boardroom 3 offices and open plan office Front counter and reception Own bathroom facilities Don't miss this opportunity, contact Shane Smith today! Rare Commercial Space $4,400 pm Plus GST and .. 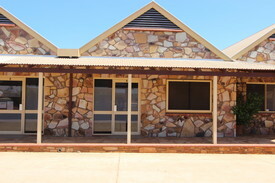 Offered for lease is this ready to occupy office space in the Karratha Business Centre. Join the high profile tenants who already occupy this prime address! 80 sqm office space Modern office with lift access Automatic sliding doors and wide corridors for disabled access For more information or an inspection contact Shane Smith today. Offered for lease is this large 358sqm office space located in the Karratha CBD, on the corner of Welcome Road and Hedland Place. If your company is looking for exposure this space is for you! 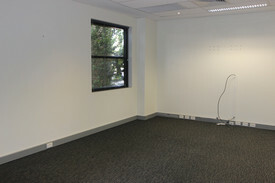 Two street frontage Kitchen Quality fit out 358sqm office space Be one of the first to inspect this great opportunity. Call Shane Smith to book your inspection today!